If you want to prepare a new post without publishing it right away there are two different options the first is creating a Personal Draft and the second is creating a Channel Draft. Personal drafts can be created by anyone with permission to post in a Channel. Adding a Personal Draft works the same way as creating a new post but instead of clicking share, click the arrow from the top right corner of the new post and select "Save Draft". This draft is only available to you and can be accessed at any time though "My Drafts" in the Channel Sidebar. 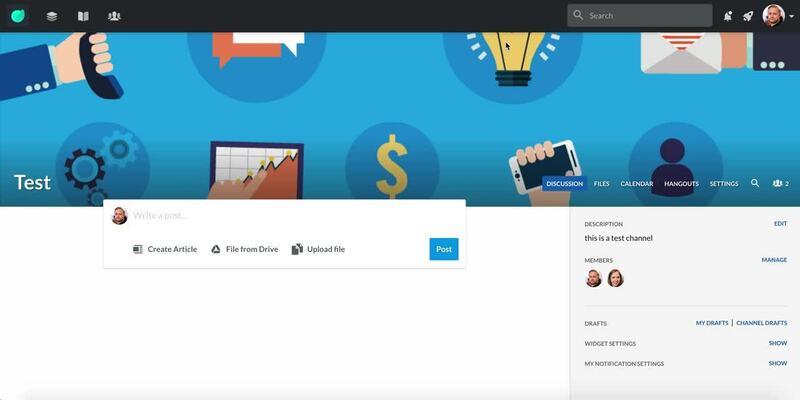 If you have Editor or Owner permissions for a Channel, you can create a Channel Draft. 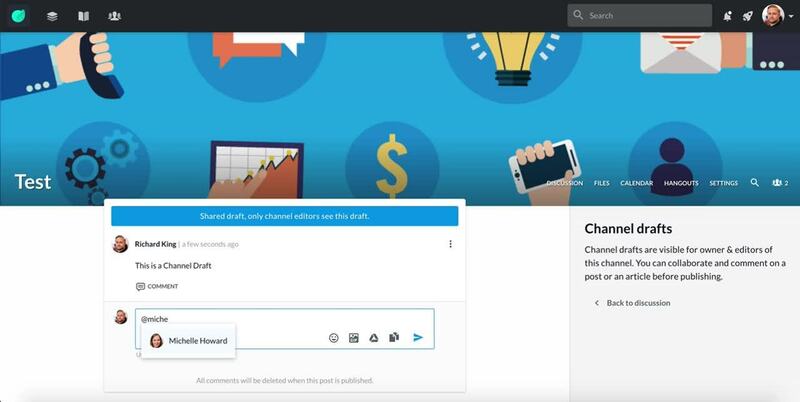 Channel Drafts are only visible and able to be published by Channel Editors and Owners. Additionally, all the comments in the Channel Draft will be removed once the draft is published. This way you can use the comments section to have a discussion about the draft before publishing. Adding a Channel Draft works the same way as creating a new post but instead of clicking share, click the arrow from the top right corner of the new post and select "Share Draft". Once you save a post as a Channel Draft, the drafts can be accessed from the Channel Sidebar under "Channel Drafts". From here you can publish the draft when it's time.